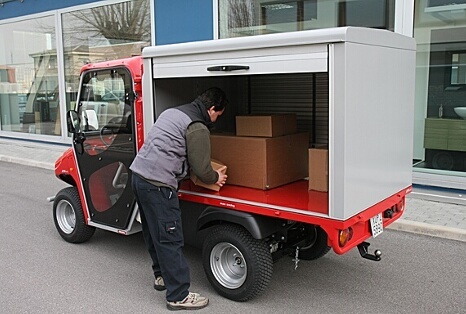 Closed cargo box with side rolling doors for commercial vehicles, civil protection vehicles and firemen mini transporters. The van box has a height 1100mm and inside can be customized. Description: closed cargo box with side rolling doors, inside it is possible to install height adjurstable shelf in order to optimize the loading capacity. Closed cargo box is very useful to secure the material contained inside the vehicle. 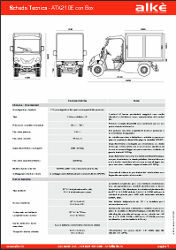 This accessory is ideal for delivery of parcels or for civil protection and firemen vehicles. The vehicle with this accessory is a road legal vehicle (depends on country).